My Mommy,My Guardian Angel | SnL World !!! We need her when we are small;she carries us in her womb, we want her when we grow;to solve our complicated problems. In case of danger she always puts her life in front, to save us. Mother, I tell you is the best gift to human kind. She knows when we are happy or sad, she can read every happy expression on our face and sulking thoughts in our heart. “Mommy” is what we shout when we are scared. Either seeing the lizard in the broad day light or demon ruling nightmares . Mommy is the first word we learn because we know no matter how far she is, she is will protect us. If she is not around her prayers will guard us like protecting shield. When we are formed in her womb she bears all pain and body changes without complaining. She smiles and giggles with joy when we kick . When she delivers us she goes through unbearable pain. But when she holds that little wailing, tiny creature in her hand closed to her heart she forgets the ordeal she had to go through. She doesn’t count the sleepless nights or lengthy days in hospital . When she is tired all she does is look into our eyes. She remembers the moment she carried us, the joy we gave and her tiredness vanishes. When family members complain about our delayed baby activities she is the one who ignores them and stands in front of us like warrior. She doesn’t care when the we puke on her party dress or pee on her best gown. All she says “that’s alright honey, that’s alright”. After trying 100 times again when we go to her with our shoe lace, she kisses our cheek and teaches how to form that twister knot. When we complain her about our bladder and how urgently we need to pee she holds our hand, pats our back and takes us to the loo ignoring the stares from crowded gathering. When shes not around we take her clothes in hand and walk whole house searching every corner. We wait and wait till she comes. First day at school, when we are all scared to leave her and go, she kisses our forehead and assures us that she will be around if we need anything. She makes sure we are well settled in new strange walls of school and watches our every move from window. She walks home still wondering how we are doing in our new surrounding. We grow, and she still walks beside us holding our hand when necessary, supporting when we stumble, scolding when we astray from right path. When we come home after tiring day at school she inquires about our day, makes sure we fill our empty stomach. She gives us pocket money to eat our favorite snacks. In spite of her bad cold and fever she washes our uniform and iron it so that we don’t have to worry about it next day. She stays awake with us during our exams and makes sure we don’t doze of with lights off. When we are confused which profession to select she doesn’t pressurize like society, or our bossy father. She supports us no matter which profession we select. When some insensitive person breaks our heart she holds our hand assures everything will be alright. Yeah she says “you will find the best gal/guy”. When we walk home drown in alcohol for the first time, she weeps seeing our state and put us to bed. Unlike father she doesn’t scold but explains us the consequence of drinking. When we keep count of the unsuccessful interviews attended she’s the one who boost our energy and makes us laugh at her silly jokes. When our appraisal goes wrong she curses the boss along with us because she hates anyone who makes us sad. When we fall in love with some guy/gal she supports us, and falls in love with her/him because she loves whom we love madly. When whole world forgets our tiny mischief’s, she is the one who stores every single moment in the store room of her memory. When the same world remembers our failures she is the one who recalls our success and erase the bad memories of our failures. Shes the one who turns concrete walls of house into loving walls of home. Home is not same without her those enthralling giggles or high pitched scolding. She finds her happiness in taking care of whole family ignoring her wants and needs. 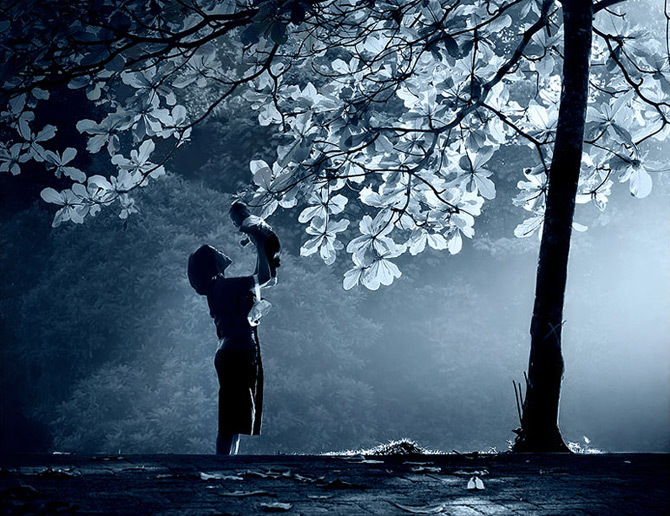 Only those know the true value of mother, who lost her to fate, destiny and time. I wouldn’t dare to say I know how it feels to live without her around. But, sure I know the pain one need to go through when somebody close to heart closes their eyes permanently. Mommy May Not Be Around Always!! You may not be attached to her through umbilical cord but there is something more stronger than the easy sleazy cord which connects us to her. Mother-child bond which is the strongest bond in this world. When suddenly she leaves this world it might be hard for us to cope up with situation, Because she was always around to worry for us, to feed us, take care of us and choose clothes for us from underpants to the matching shoes. I don’t know how hard it is to leave without her around, I really don’t want to know. Life is hard without mother but again you have her memories, her ever smiling face imprinted in your mind and permanently she stays alive in your heart. Be strong, be brave she may not be around but she is always with you because she is your guardian angel who watches over you every single minute. Dedicated to all wonderful Mommys. A mother is a woman who created by God to bring love, joy, happiness and caring into his world.24 hour job,no pay,no day off, sometimes it is unappreciated, but yet resignation is impossible. Well said, Without mother we are nothing, she completes us.